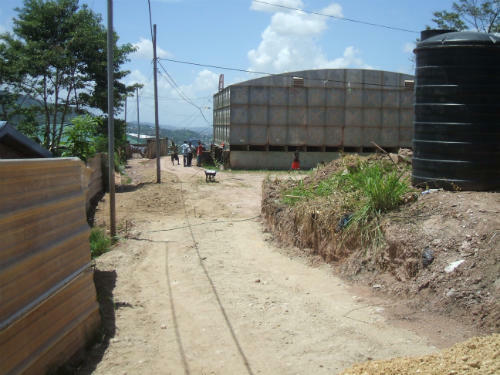 The East Port of Spain Development Company Limited commenced work on eight new projects in communities throughout East Port of Spain during the week 28th May 2012 to 4th June 2012. They involve upgrades to physical infrastructure and recreation facilities, all of which were identified by Members of Parliament and supported by residents. 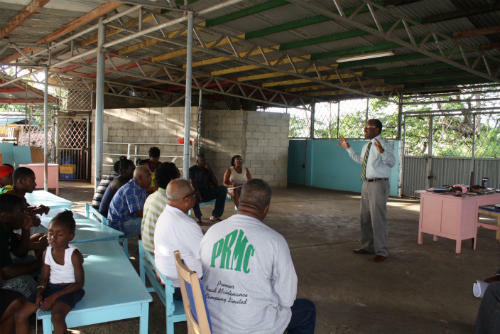 As part of the East Port of Spain Development Company Limited's participatory approach to development, Company representatives met with residents prior to the commencement of each project to discuss; the scope of works, introduce selected contractors and solicit community support, which is essential to the success of all projects. Construction of hard surface multi-purpose recreation court at Jacobin Street, Morvant. 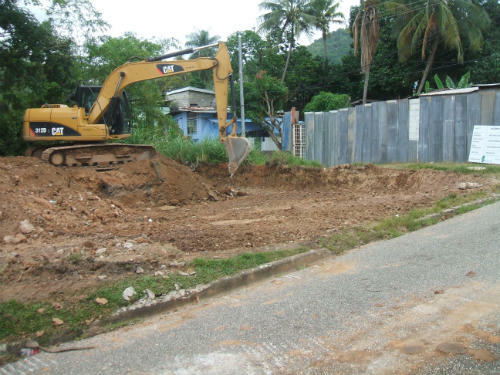 Construction of storm water drains, access stairs, foot bridges and road works at Manda Terrace off Lower St Francois Valley Road, Belmont. Development of Upper MacKai Road Belmont, including construction of storm water box drains, retaining walls and road works. Construction of retaining wall at Herman Scott Street, Port of Spain East. Construction of reinforced concrete steps, drains and walkways and the installation of pedestrian handrails where applicable in addition to asphalt paving to improve pedestrian access at Sapodilla Hill, Mapp Lands, Morvant. 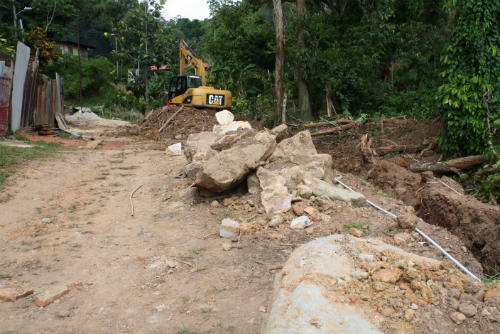 Layan Hill Infrastructure Upgrade, off Lower St Francois Valley Road, Belmont, including construction of roadway, retaining wall and curb and slipper drains. Construction of storm water drains and road works at Fatima Trace, off Laventille Road, Laventille. Construction of storm water box drains, installation of rest rooms, paving works and road works at Enforcer Recreation Grounds, St Francois Valley Road, Belmont. The duration of the projects ranges from 2 months to 5 months. The projects will improve the quality of life of residents of East Port of Spain and provide much needed employment for residents and some locally-based small contractors.